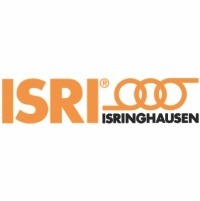 ISRINGHAUSEN is the global market leader in the development and manufacture of innovative seating systems for commercial vehicles as well as technical springs. Our products are used in trucks, buses and construction equipment. 50 plants across 20 countries form the backbone of our manufacturing infrastructure. The seat is the star. Operators in the North American bus industry have relied on the ISRI 6800/338 suspension seats for many years. Looking to the future, one can expect new and exciting products from ISRI to enhance their driving experience. Once again we will feature the 6832/870 NTS air suspension seat designed for the North American driver. This seat offers unmatched comfort and safety features including an integrated 3 point seat belt and many other comfort features. Seating – on a higher level. Heavy truck manufacturers worldwide recognize the value of ISRI seats. Long lasting durability, low maintenance, safe and comfortable describes ISRI truck seats. Individual owners can now purchase the ISRI 6830 NTS aftermarket for a wide variety of heavy trucks. If you´ve got something heavy to move, you need the right support: ISRI seats for construction vehicles. ISRI introduced the new NTS Construction seat platform in 2010 which features vehicle air, compressor air, and mechanical suspension seats, along with static, non-suspension seats. The NTS seat offers increased stiffness adjustability with minimal free play, along with increased weight capacities, more comfortable and durable cushions, and wear resistant textile covers. Early 2014 we will introduce our new 4 point harness seat belt and a new console control seat. Tags: Trucks, Air Suspension Driver & Co-Driver-Seat, Mechanical Suspension Driver & Co-Driver-Seat, Static Driver & Co-Driver Seat, 3 Point Integrated Belt Driver & Co-Driver Seat, 4 Point Integrated Belt Driver & Co-Driver Seat, Vans, Commuter, Commuter Lite, Recliner 2005, Motorhome, Commuter, Commuter Lite, Commuter Nirvana, Recliner 2005, Recliner 2008, Bus, Air Suspension Driver & Co-Driver-Seat, Mechanical Suspension Driver & Co-Driver-Seat, Static Driver & Co-Driver Seat, Commuter, Commuter Lite, Commuter Nirvana, Quadcom, Tricom, Urban 2000, Recliner 2005, Recliner 2008, Recliner Nirvana, Forklift, Polyurethane Full Backrest Seat, Polyurethane “T” Backrest Seat, Railway, Original Equipment, Air Suspension Driver & Co-Driver-Seat, Mechanical Suspension Driver & Co-Driver-Seat, Static Driver & Co-Driver Seat, 3 Point Integrated Belt Driver & Co-Driver Seat, 4 Point Integrated Belt Driver & Co-Driver Seat, Urban 2000, Recliner 2005, Recliner 2008, Recliner Nirvana, Air Suspension Train Driver Seat, Mechanical Suspension Train Driver Seat, Outdoor Original Equipment, Game View Seat.